Similar Balls: Same Hook Potential, Lane Conditions & Coverstock as the Track Alias. Alias has a unique roll to it. I was able to try both the Asymmetrical and Symmetrical layout. The Asymmetrical is true to the first video I saw. It is raw hook but not so much hook it burns up and doesn't have the power to finish on the back. NO WAY!! the Alias keeps going and going. With the Symmetrical layout I was not sure how different it would be in my hand, I didn't like the shape with the box surface I changed it to 2000 only that was still a little too early and this is when I saw the Alias not finishing through the pins. I tried one of my favorite surface adjustments 1000/2000/3000/4000 this gives the ball a polish look to it without having to use ball polish. I was able to see a shape I wanted. During a tournament bowling on the black diamond pattern I used the Asymmetrical Alias to start. Around game 4 it started to drive a little too much and I was in a good zone so I didn't want to move my feet. I switched to the Symmetrical Alias and it was spot on. I would suggest getting the Alias if you want to see that strong move off the friction and through the pins. I will only suggest drilling the Alias Symmetrical if your Pro Shop Operator has as close to perfect specs 2oz top weight or less 1-2 inch pin. So far it seems great on everything. This ball is amazing! I can't believe how good it is and continues to be. I personally have had some great scores with mine but the looks that it has given some of my local bowlers I drill balls for, is the best! Rockford locals Dan Lemiesz, Jason Roddewig and Joe Ullrich recently got theirs before the Rockford City Tournament and both have been lights out. They couldn't be any different of bowlers. Dan likes to hook the lane anywhere from 3rd arrow to 5th arrow (15-16.5 mph). While Joe likes to throw the ball super straight off the corner and pretty hard (about 19+ mph). Jason plays a straighter (between 1st and 3rd arrow) and a little hook down and in. Jason managed to get a #12bagger (300) in game 2 of one of his team events. Dan is currently in 1st place (scratch) with an 803 using his pin down Alias w/ no weight hole. Dan was on fire with a 279, 278 and a 246. Joe managed to shoot so good, he is in 1st as well. His is for All Events w/ 2301! I feel it shows the versatility of this ball and just how good it truly is! WOW. Potential. This ball has the potential to be anything you could possibly want it to be. I have drilled two Alias balls. One ball has a symmetric layout and the other has the strongest asymmetrical layout. The symmetric layout gives me a more smooth shape but a lot of hook. I am able to keep my angles in front of me and play straighter with this layout. The asymmetrical layout gives me more hook than I truly need. If you are looking for a lot of hook for a lot of volume, this would be the ball and layout for you. The symmetric layout has been my favorite ball so far this season. 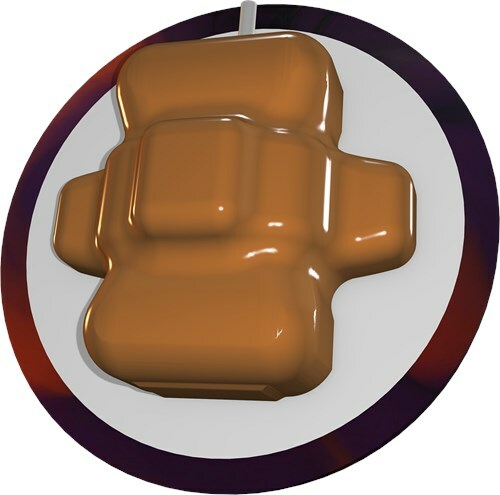 The possibilities are endless with this new core technology. Symmetric layout for smoother shape and asymmetric layout for more hook. You call it. All I Van Say Is AMAZING..This Is Definitely A One Of A Kind Bowling With Alot Of Attributes.. One Of The Most Versatile Balls In The Track Line..You Can Drill This Ball With A Symmetrical Layout Or Assymetrical Layout And It Has Alot Of Backend Drive..When The Lanes Are Fresh I Have My Assymetrical To Get Through The Oil And Drive Through The Pins..When Lanes Are Wet/Dry And Lanes Are Hooking A Bit The Symmetrical Drilling Layout Works Well Getting More Length And Still Drive Through The Pins With Overreacting..Definitely A Must Ball 2 Have In Your Bowling Ball Arsenal! You really need 2 of these! I had 2 drilled up, one symmetrical and one asymmetrical. The asymmetric layout was 70x5x30 on a PAP of 4 ¾" over x 5/8" up. I decided to leave that surface alone OOB and gave it a go on some pretty slick lanes. The coverstock did not grab too soon and the mid-lane/backend was controlled but powerful. I actually saw a greater change of direction with the symmetric layout - which was (-20)x5x30, with the PAP reversed (see drilling instructions and recommend short pin to CG ball for this layout). After throwing this ball a few times, I applied polish to the 2000-grit coverstock - which gave me the cleaner roll through the front that I needed - but was still a monster in the backend. Compared to the Paradox Black, the Alias for me overall is cleaner through the front-end and stores more energy for the back. If there was any high performance ball that you should really have 2 - THIS IS THE ONE - using each of the layouts to your advantage. This also may be the best high performance ball I have been able to use on a league night in a long time, as I have been using mostly mid-performance in league the past couple years. Drilled for the most backend, BUT it just lays out there and dies. Believed the promo,s I read and could not be more disappointed. Should have set my money on fire. 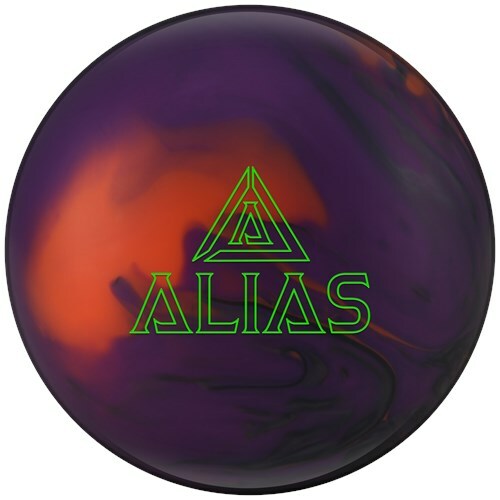 Due to the time it takes to produce the Track Alias ball it will ship in immediately. We cannot ship this ball outside the United States.